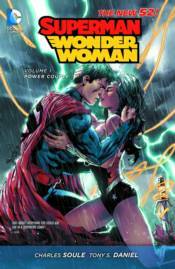 Collecting the bold new series that looks at the relationship between The Man of Steel and the Amazon Princess! Some say love is a battlefield, but where Superman and Wonder Woman are concerned - it spells Doomsday! Collects issues #1-6 of the new blockbuster series.